Penny Mallory is well known for presenting Channel 4’s critically acclaimed Driven and World Rally Championship. She presented the Used Car Roadshow for many years, alongside Jason Dawe. 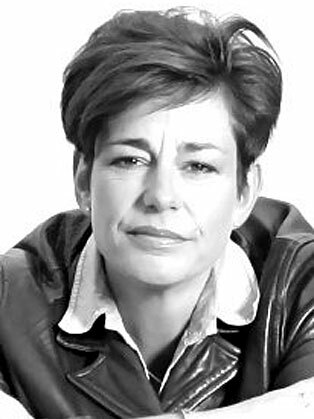 Apart from these flagship shows, Penny has presented the much-repeated Channel 4 series Accident Black Spots and is a regular contributor on morning television on ITV and BBC. Penny believes a great motivational speaker is one that inspires the audience to take action or make positive changes in their lives. She has become a sought after female speaker in the UK and abroad, and uses her extraordinary story of her life as a homeless waster, who turned her life around to become a Rally Driver, which was her childhood dream. Penny's aim is to leave delegates feeling compelled to take immediate action - to do something that makes a difference to their lives and gets them closer to what they really want to achieve. Penny attended our Sales and Marketing conference and wowed the audience. She provided inspiration as well as practice advice. She cleverly weaved together personal anecdotes with love feedback from the audience and made a real difference to our event.